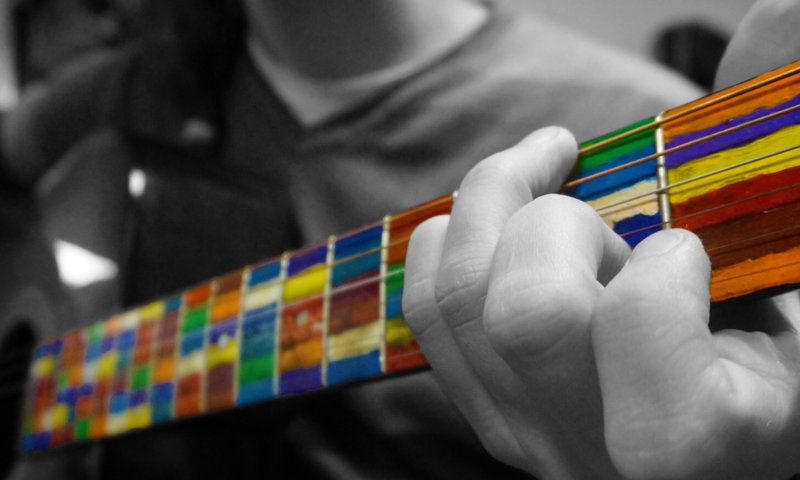 ‘Thumb Picking’ and ‘Travis Picking’ are guitar styles that essentially use short repeated thumb patterns to accompany melodies and harmonies played by the other fingers. This style may have emerged from a combination of African Kora technique or European ‘Oom-Pa’ alternating bass lines. Both styles have striking similarities to the early thumb picking techniques and the techniques emerged in an era when African and European cultures were blending in the United States. In the early recorded days, this was the ragtime-like style of Arnold Shultz and later the Muhlenberg county pickers like Merle Travis and John Prine. Other guitarists like Chet Atkins softened the backbeat and made a more urbane style that was taken up by famous songwriters like John Denver and Paul Simon. There has been a continued interest in country blues players like Robert Johnson and fingerstyle guitarists like Merle Travis that has led to thumb picking influencing many other genres. British Invasion Rock legends like Jimi Page, Eric Clapton and Keith Richards cite Johnson as a major influence, and thumb picking techniques have stayed popular through the songs of Bob Dylan all the way to modern artists like Tallest Man on Earth. If you’ve never done anything with Travis Picking before, I suggest getting your guitar and playing along with this introductory lesson by the great Don Ross or watching this extended intro by Thom Bresh. This is a special series where I expand on fingerstyle techniques just from playing “Landslide” by Fleetwood Mac. January at the Halifax Airport Lounge Bruce Cockburn integrating complex melodies 6 ?